GUELPH, Ontario – It was a time of cassette tapes, LA Gear and the Blue Jays topping the MLB. 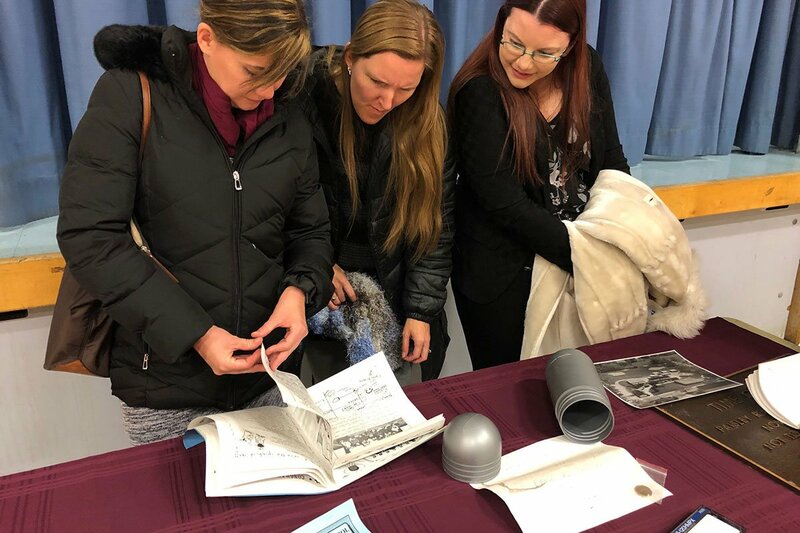 On Thursday, former and current staff and students at Paisley Road Public School opened a time capsule with mementos from 1993. 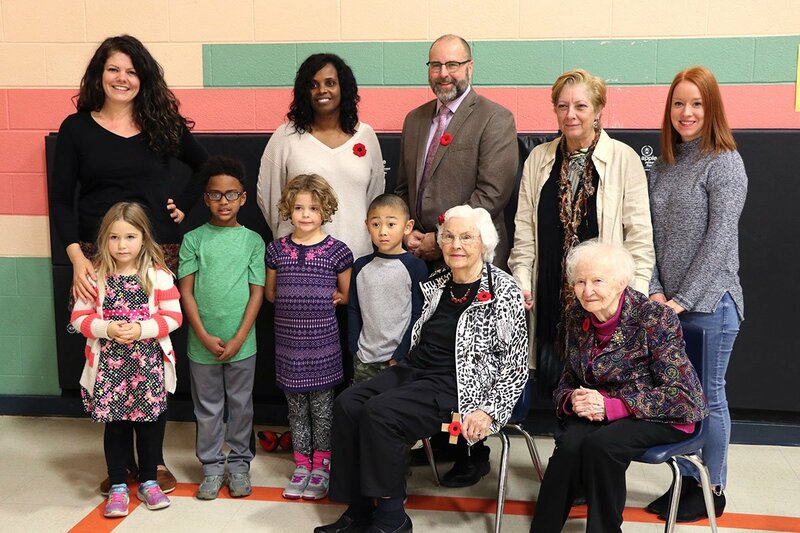 The school’s foyer overflowed with staff and students from years past, including special guests Margaret Stinson and Mae Potton. Margaret and Mae were the original staff at Paisley Road when it opened in 1948. The original school had two classrooms, two washrooms and two teachers. 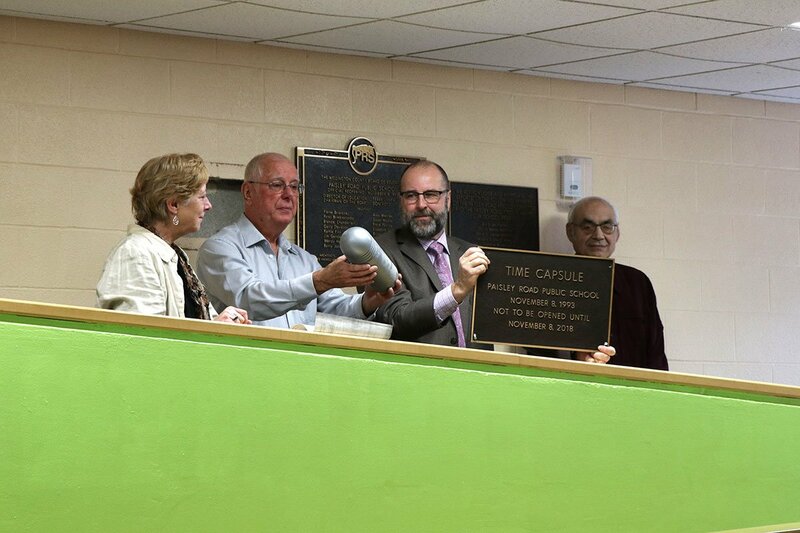 Current Principal Randal Wagner was joined by former staff, including administrators from 1993, as they took out the screws from a plaque on the wall that hid behind it the 25-year-old time capsule. 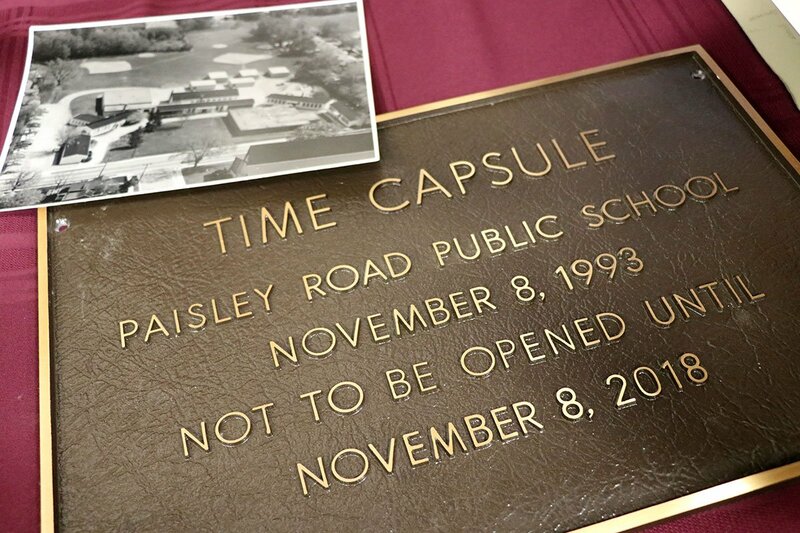 The time capsule was stowed away when the school was rebuilt with instructions to open it on Nov. 8, 2018. And so on Thursday, the school invited members of the school community to come see what was inside. 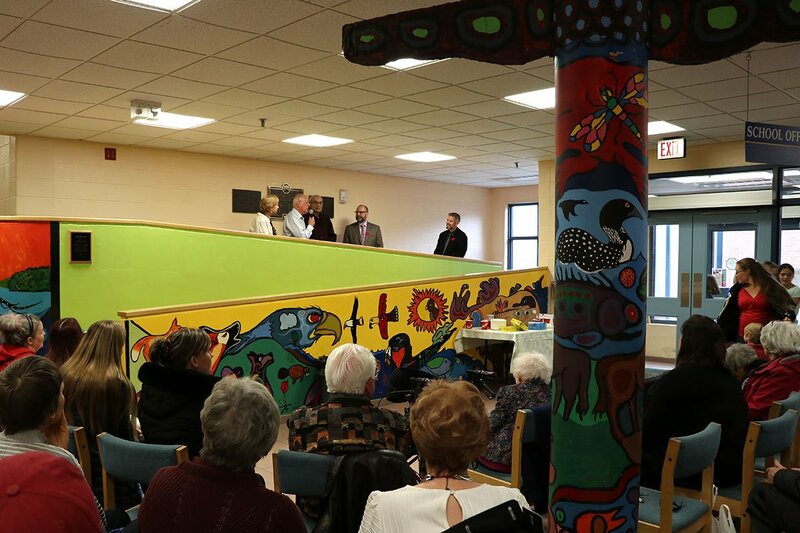 Following the foyer ceremony, the presentation moved into the gym where guests were welcomed at a school-wide assembly. Stinson spoke to current Paisley students, reminiscing about the first day of school 70 years ago. 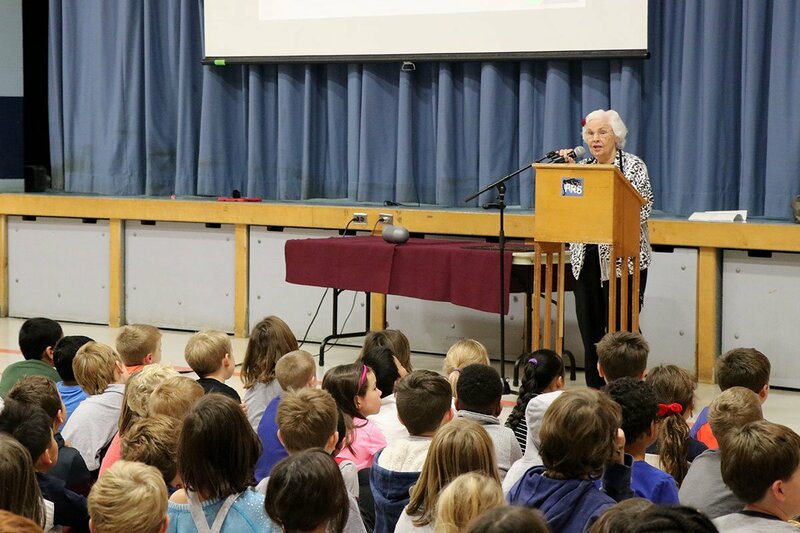 She encouraged all the young students to continually learn, learn, learn. It was then time to open up the time capsule. 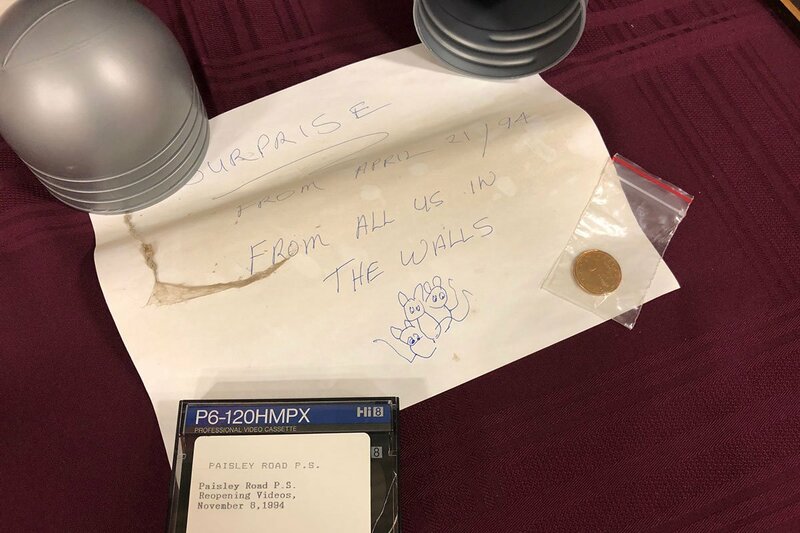 Inside was a variety of items, including a 1993-minted loonie, a parent-pupil handbook, a yearbook, and a small Sony Hi-8 videotape (much to the confusion of the young students opening the capsule). 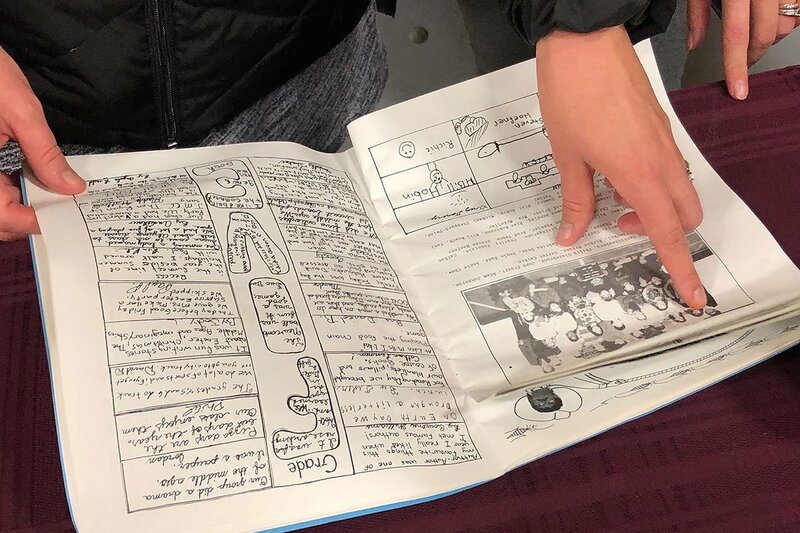 There was also a booklet filled with art, photos and lists of students’ favourite clothes, hairstyles, books, music, toys and sports from 1993, including many references to the Toronto Blue Jays who won the World Series for the second year in a row. 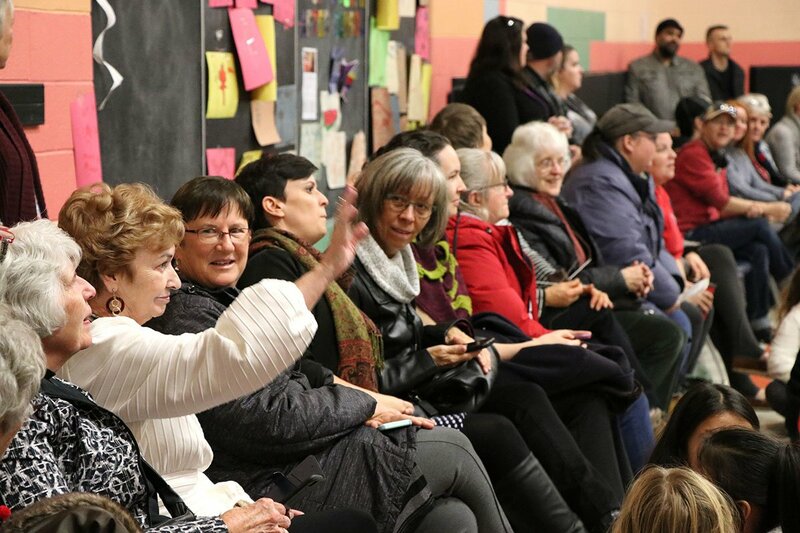 A message from staff inside the time capsule talked about their goal to prepare students for the 21st century, while engaging in active learning and child-focused education. Staff wondered about what education would look like in 25 years, knowing that technology would continue to advance at a rapid pace. 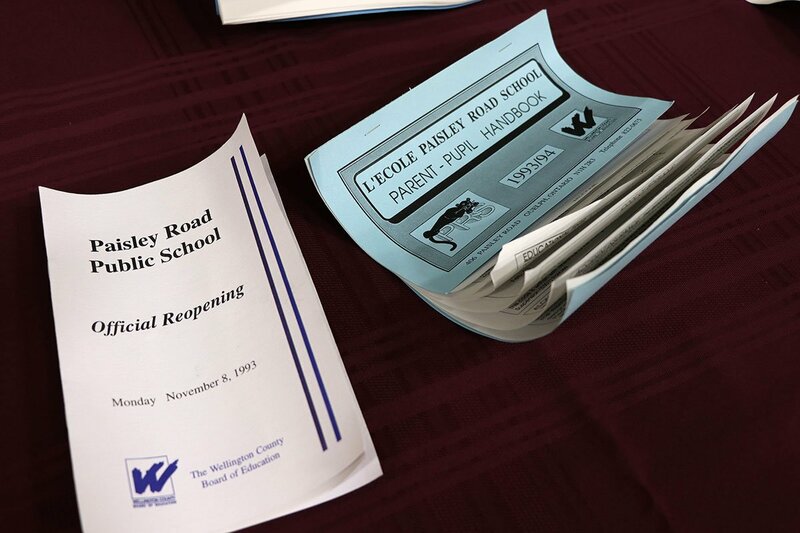 The school will now put new items in the time capsule and replace it in the wall, to be opened 25 years from now.